No other insects symbolize summer quite like the group of colorful, primitive-looking predatory insects we generally call dragonflies. In the late summer garden, they resemble tiny animal fighter jets, fierce looking but also beautiful and fascinating. In reality, these members of the insect order Odonata include not only the true dragonflies but also a closely related group known as damselflies. The order includes roughly 5,900 species, of which about 3,000 are dragonflies (suborder Epiprocta, infraorder Anisoptera), and about 2,600 are damselflies (suborder Zygoptera). 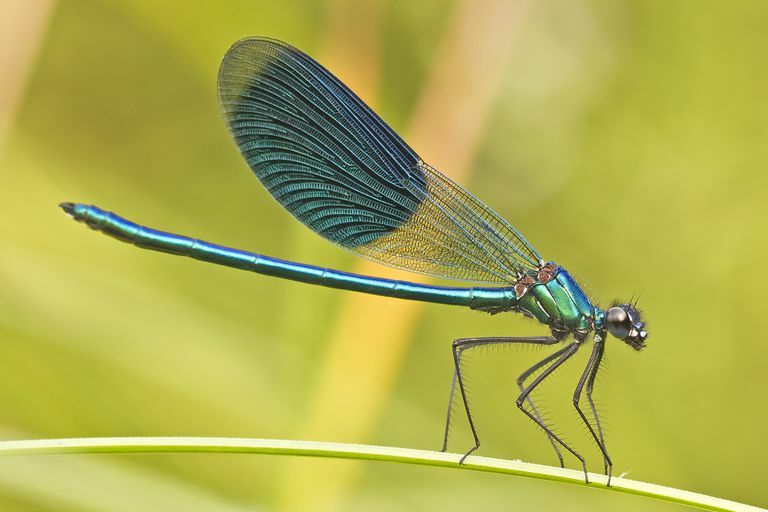 Dragonflies and damselflies are both predatory flying insects that look primitive and ancient because they are: fossil records show prehistoric species that are quite similar to modern species, although considerably larger. Modern dragonflies and damselflies are most prevalent in tropical regions, but some species can be found in almost every part of the world except for the polar regions. Taxonomists divide the Odonata into three suborders: Zygoptera, the damselflies; Anisoptera, the dragonflies; and Anisozygoptera, a group somewhere in between the two. However, the Anisozygoptera suborder includes only two living species found in India and Japan, which are rarely encountered by most people. Dragonflies and damselflies are often confused with one another because they share many characteristics, including membranous wings, large eyes, slender bodies, and small antennae. But there are also clear differences between dragonflies and damselflies, outlined in the table below. In general, dragonflies are studier, thicker-bodied insects, while damselflies have longer, thinner bodies. 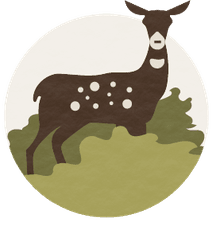 Once the obvious differences are learned—eyes, body, wings, and resting position—most people find it fairly easy to identify the insects and tell them apart. More serious students of the odonates may want to examine the subtle differences in wing cells and abdominal appendages. Both dragonflies and damselflies are seen in a wide range of sizes and colors. Colors may be dull or brightly metallic hues of greens and blues. Damselflies have the widest range of sizes, with wingspans ranging from about 3/4 inch (19 mm) in some species to 7 1/2 inches (19 cm) in larger species. Some fossil Odonata ancestors have wingspans of more than 28 inches. Dragonflies and damselflies lay their eggs in or near water. Hatched larvae go through a series of molts as they grow, and begin predatory feeding on the larvae of other insects and on small aquatic animals as they move toward the adult stage. The Odonata larvae themselves also serve as an important food source for fish, amphibians, and birds. Larval dragonflies and damselflies reach adulthood in as little as three weeks or as long as eight years, depending on species. They go through no pupal stage, but near the end of the larval stage, the insects begin to develop wings, which emerge as useable flight organs after the last molt of the larval stage. The adult flying stage, which can last as long as nine months, is marked by predatory feeding on other insects, mating, and finally laying eggs in water or moist, boggy areas. During the adult stage, dragonflies and damselflies are largely immune to predators, except for some birds. Not only do these insects pose no danger to humans, but they consume large quantities of mosquitoes, gnats, and other biting insects. Dragonflies and damselflies are visitors we should welcome to our gardens.